If you like our project and you want to help in its development, you can donate us the amount of money in US Dollars you deem acceptable. Если вам нравится наш проект и вы хотите поддержать его развитие, вы можете пожертвовать нам сумму в Рублях, которую сочтете приемлемой. 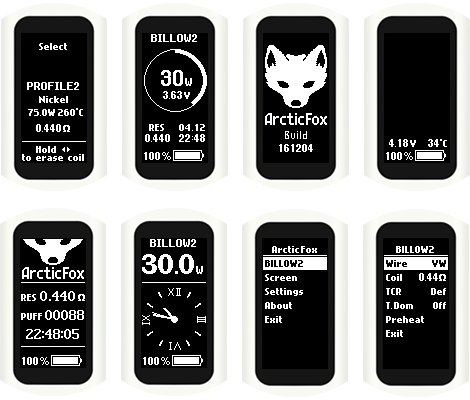 NFE Tools – a collection of tools to work with your battery mod, including tools for configuring ArcticFox firmware, device monitoring and firmware update software. 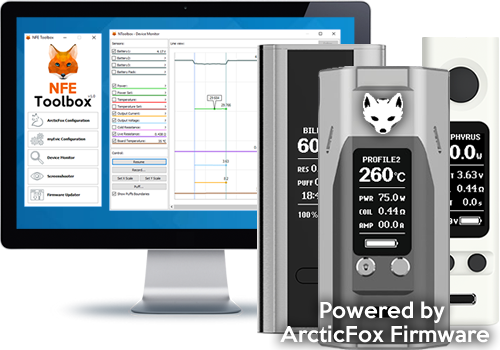 ArcticFox – firmware for battery mods from companies: Joyetech, Wismec and Eleaf, which will give your device a second life by extending their functionality to the level of DNA / YiHi devices. 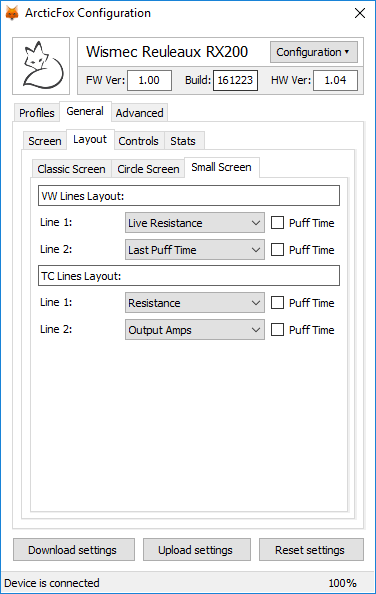 NFE Toolbox allows you to customize your device with your computer for a few minutes. 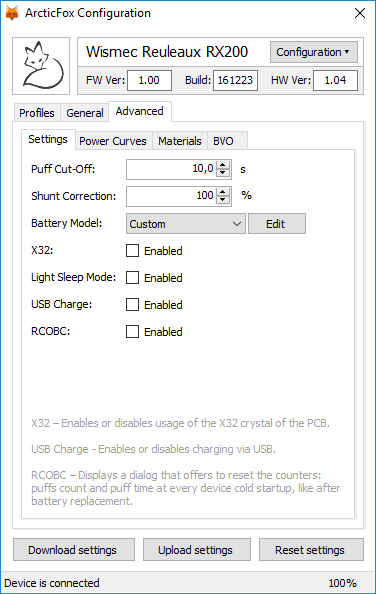 NFE Toolbox provides full customization capabilities of your device: Profiles, discharge curves, TFR-curves, brightness, buttons actions, etc. 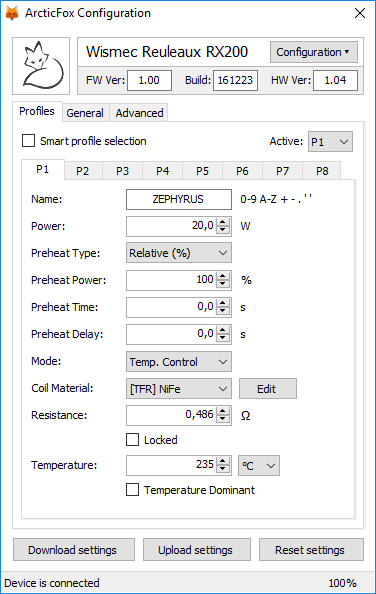 Do you wonder how preheat and temperature control work? Or maybe you just like fancy charts? Then, the Device Monitor is made special for you! 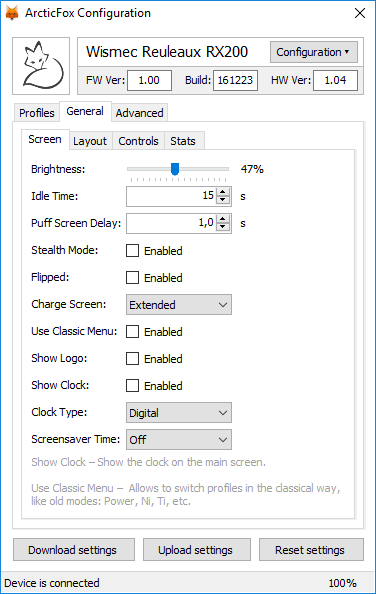 Different settings, from simple to advanced help you make your device ideal. Three kinds of interface: classical, "Circle" and "Foxy", which can be switched on the fly. Are you using multiple atomizers with one mod? Profiles created for you! Profiles will be selected automatically when you install previously configured atomizer. 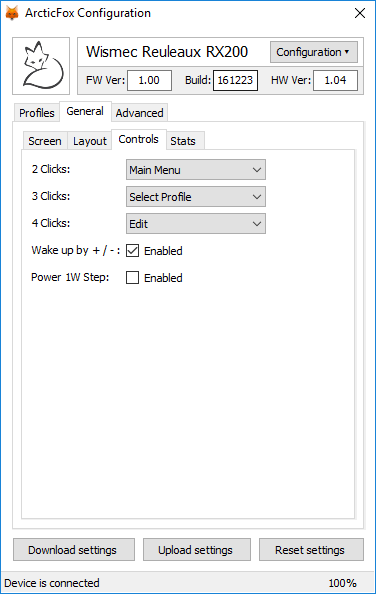 Maximum integration with NFE Toolbox, which allows you to configure device via computer, take screenshots and read device sensors data. 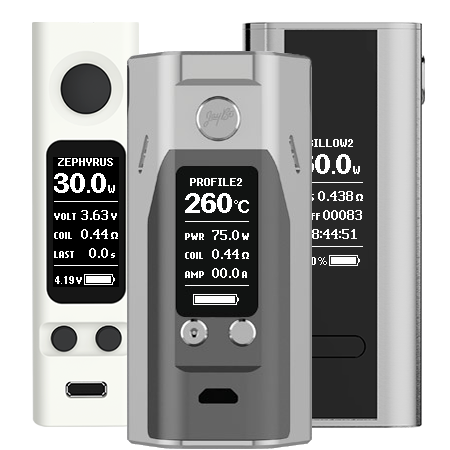 Eight customizable profiles; fully controllable preheat, defined either as a percentage of current power, either in the form of absolute values of power or even by the curve; two temperature control modes: TCR and TFR, home screen customization, three kinds of the interface, an expanded menu and much more await you.